Ramp up your workouts with this heavy-duty Linear Bearing Smith Machine with Lat and 200 lb. Weight Stack. The weight carriage rides on precision linear bearings over solid steel support bars for a super smooth workout. A unique free floating carriage prevents binding even with the heaviest of weights. The Lat Attachment features a 200 lb. 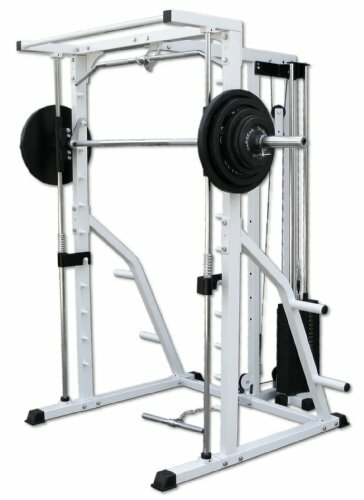 weight stack to add versatility.